Bushman Equipment, Inc. builds all non-standard pallet lifters and all lifters with capacities over 4, 000 pounds with a double vertical member. These double member pallet lifters have stationary forks to handle palletized loads of various configurations. 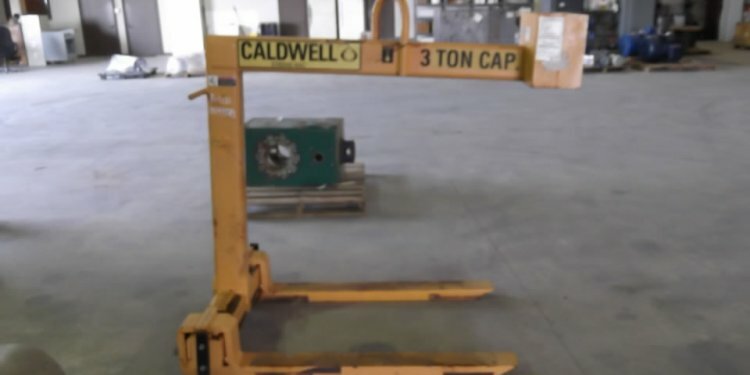 The model H-901 pallet lifter is adjustable. It permits the operator to move the forks with a hand wheel, hand crank or motor. This ergonomic feature of Bushman Equipment, Inc.'s material handling equipment improves operator efficiency and safety.